Will the NHL be brought back to life? The NHL lockout will be over soon and I have mixed emotions about it. I am an arena staff worker who dreamed of working for the NHL one day, preferably the Detroit Red Wings full time in marketing/social media. The collateral damage this lockout has done is too much to ignore. How can you alienate 100,000+ fans plus sponsors for a big event like the Winter Classic? How does this affect the NHL and how do they just ignore what they have done to the industry they love? When this is said and done, how is the NHL going to recover as a brand? Your best employees are your biggest cheerleaders and largest assets you have in a business. But when you ignore them, trim down their hours and if they live based on a commission, how are they supposed be to happy? The little people struggled, the everyday Joe’s who depend on this job for a living. They chose to go into sports knowing there is long hours with little pay. They do this for the love of the game, but when the game doesn’t respect you or give you a reason to stand by them. Is it enough? Business partners have been burned and from the looks of it Kraft might have backed out of their sponsorship in Canada. To most Americans who don’t get CBC and Hockey Night in Canada they might see this as a small thing. The truth is Kraft brought together old rickety ice rinks and gave them funding to the community who deserved it the most by voting. I wish Americans could have had this kind of promotion. The kids in the community benefited by having their hockey heroes come and play a pre-season game there, they got funding to fix the rink, and the community got recognized nationally. It just hurts me to see this go by way side because the league burned the bridge. Kraft Hockeyville was one of the things I looked forward to seeing during Hockey Night in Canada broadcasts. Leadership has to change for change to really happen in the NHL. If every eight to ten years there will be a work stoppage will the full time employees and some of the part time staffers look for other places to work? I love the game and I had a different view of this lockout which was really frustrating me. The brand is damaged and I am sure sponsors and television networks are just as frustrated as the fans. They should have been working this hard months ago before the Winter Classic was trashed for the year. You have a product where there is a large chain of businesses that depend on your product to survive. It is when you think of them and solve the problem before it gets to this huge level that you have a better understanding. If employees have suffered and they are your greatest brand ambassadors, die hard fans are ticked, then who will bring your brand back from the dead? I wish I had a screen shot of my Facebook post but I complained to Verizon Wireless about my Incredible before I headed to the store and the community responded first by saying since I went through six phones I was entitled to a different phone. I do not complain about customer service and I tend to give the companies the benefit of the doubt but this is different. I mean six phones is a little bit extreme to keep replacing with the same refurbished problem especially since the one that was replaced was replaced less than a month ago. I have tweeted to @VerizonWireless but things go to deaf ears over and over again. I just wanted a new phone that does the same thing my old. I was never looking to upgrade or get anything for free but just have a phone that works longer than three weeks. There is something wrong with the phone I have and refurbishing them wasn’t solving the problem. I did not get any kind of response and when I got home I went to see what was happening with the post I asked questions on and it was deleted. Not only did they not solve my questions but they deleted it and now there is only corporate content on there and nothing posted by people talking about their products. 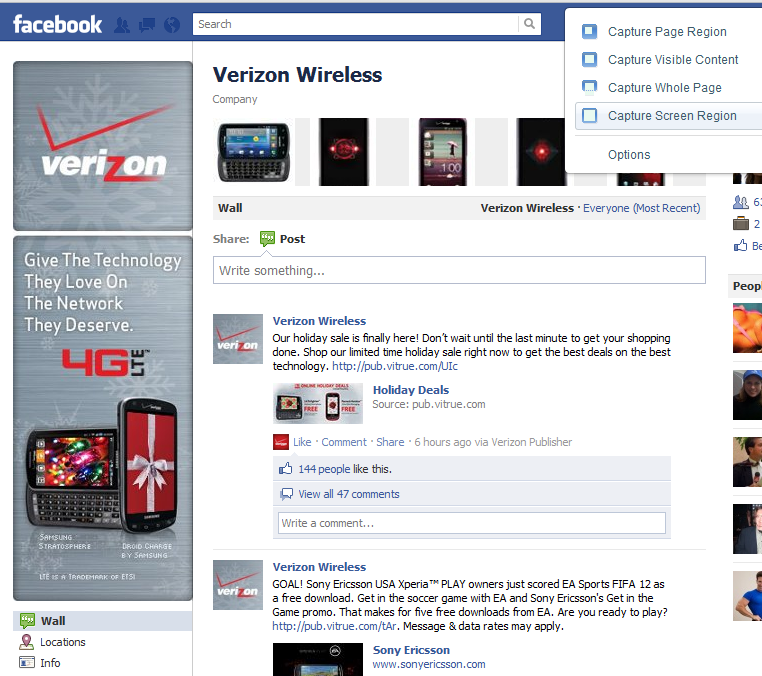 Verizon never responded to my question on the Facebook page either the community only did. I am not really wanting to go all United Breaks Guitars here or anything because I decided to visit a different Verizon store than the first one I was going to because I got sick of the same thing. The entire process took almost forty five minutes but I did finally get an Incredible 2. Orignal Incredible has been nothing but a headache and the process of getting stuff done over and over again and not even acknowledging me online was ridiculous. I get companies don’t like user generated content on their page but it is problem solving that builds trust and helps establish relationships. I have seen this on other pages where they frown upon someone asking questions or posting content on fan pages. You can not have an open relationship with a guest or customer if you ignore what they are feeling. That is bad public relations and even worse customer service. Yes my problem did get solved but this should have been fixed four phones ago and not on the sixth one. The Incredible is a huge fail and even though I love it when it works but when you are replacing defective devices with more defective devices it does not make for good customer service. Would I be writing this if I had been answered on the Facebook page or Tweeted to? No, and I probably would have had more love for them but since I am being ignored which is not a good feeling I think it is time for companies to actually listen to the consumer. Hiding behind a logo is fine and dandy but in the end we are all consumers and we all just want to be heard and NOT deleted. Steve Yzerman is the adoptive son of Detroit and he took a position as the General Manager of the Tampa Bay Lightning in May of 2010. After 23 years as a Detroit Red Wing and four years as an apprentice to General Manager Ken Holland. Stevie learned the ropes of the National Hockey League from the business stand point and took his team to one win from the Eastern Conference Finals in 2010. There are quite a few things from a business stand point we can learn from Stevie. Stevie will always be remembered as a Red Wing. 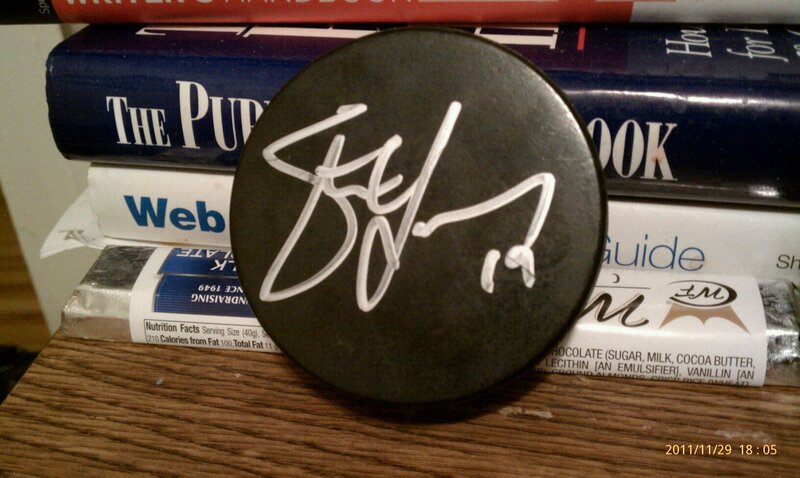 He signed my puck at the team practice in Troy and even used his number 19 on it. He will always be a member of the Red Wings family no matter how far he travels or whose team he is employed by. He is adopted by the city of Detroit and by the Red Wings family for bringing hockey back and using his perseverance to win three Stanley Cups and be in the office for the fourth. He has not burned bridges but he still has the connections he once had and probably uses them. Just because you leave an employer that you have been with forever does not mean you lose the connections you once had. Stevie won a gold medal with Team Canada in the 2010 Olympic Games in Vancouver. Canada, his native country put him in a very pressure packed situation. He had taken the time to surround himself with A players so his team can have success down the road. I am pretty sure the Red Wings believe in this philosophy and this is how it was passed along to him. He did not graduate from high school yet he has a Masters degree in the NHL. You learn from the best and you can have long term goals. He sees the future and I am pretty sure he believes this philosophy. Detroit will always be home for Stevie Y. He has done the right things for this city and always kept the windows of opportunity to success open. Mike Illitch will probably always think of him as an adoptive son since he has been through every phase of hockey with the Red Wings. He speaks highly of the Detroit area and has had many life experiences here. So when his paths cross again or maybe not with Detroit he knows he can always come home because people will always respect him. He never brought a scandal to Detroit but he brought grit, determination and was a quiet leader. He is doing the same thing with Tampa Bay and seems to be just as loyal. This video is a really great because it shows what he has learned about the business, his team, what he hopes to accomplish and everything great Steve Yzerman brings to the table. Since Help a PR Pro Out day is today I thought I would write a brief description of what makes me a great hire. 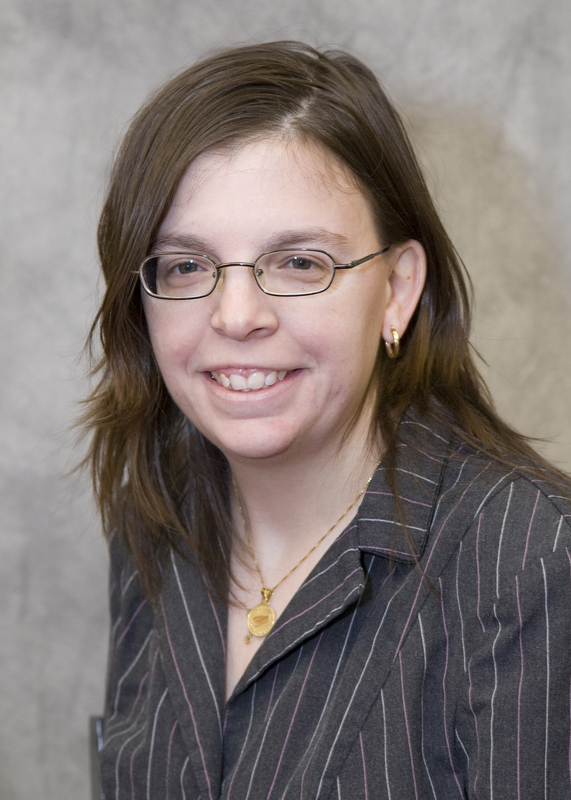 I graduated from Eastern Michigan University with a Bachelor of Science degree in 2008 in Communications Technology and have been working hard learning the field of Public Relations and communications since then. My desire has always been to work in the communications industry. I have found social media to be my niche. I have worked for The Leukemia & Lymphoma Society where I managed to form a partnership with Yelp. The time I spent there was constructive and I also had photos donated by General Motors and Wayne State University for invitations to the Leukemia Ball. Since then I have built a community for FWIX, wrote proposals for projects which I bid on in my freelance work. I have been an avid participant and volunteer in Detroit. I have worked Module 09, Brand Camp U 09, TIE Midwest Conference and invited to Ted x Detroit and am going to be working Ignite Detroit and Future Midwest 10. I was also the Champion for Detroit in the live event for #journchat this past August. 1. Relationships are key and I have excellent interpersonal skills. 2. Able to cultivate new ideas and fresh outlook on life. 3. I am social media savvy and realize an integrated communications strategy will help solve some of the current problems. 4. Loves hockey, Detroit Red Wings, Team USA and everything involved with it. 5. Believes in Detroit but am willing to relocate to New York, Chicago, D.C. or San Fransisco. 6. 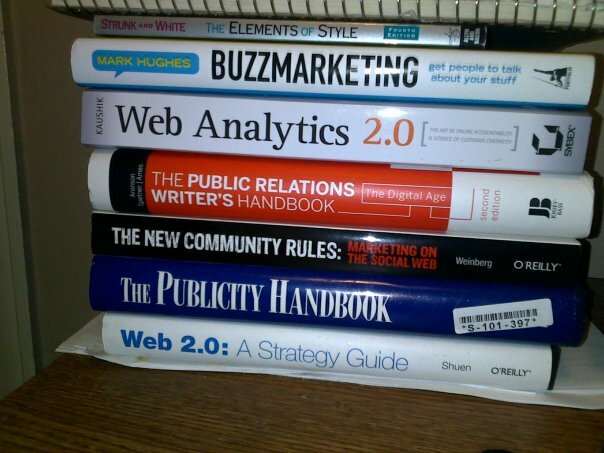 Loves research and bookmarking so I could save you money by having some research done already! 7. I am looking for more of an entry level marketing position but I believe PR and marketing go hand in hand. 8. Have worked with a start up and a non profit organization. So I am capable of working in any kind of environment. 9. Freelancing has taught me about deadlines, creating good content, selling your ideas and various other things which can transfer to a great public relations job. 10. Sports and Entertainment have been in my blood for the past years but technology is my passion. I am driven to work for a growing company which is technology or hockey based and can feed my passion for growth. I have been working with some pretty cool people as of late. Though I have still not landed the elusive “BIG GIRL” career. I have a feeling something good will happen soon. I mean the karma has to be going into my favor eventually, right? Third Thursday Roundtable (Sept 17) is a networking lunch which is going to feature Charles Pugh. This should be exciting and you can learn about the change he is going to bring if elected to City Counsel in Detroit. Will a fresh face help bring Detroit to light? Let’s hope so. So be ready for networking from 11:30 a.m. to 1:30 p.m. at Club Venetian Banquet & Conference Center 29310 John R Madison Heights, 48071. Cost is 25.00 includes lunch and networking. Sept 17 is a pretty busy day. If you are like me and still trying to find the elusive FULL TIME career. 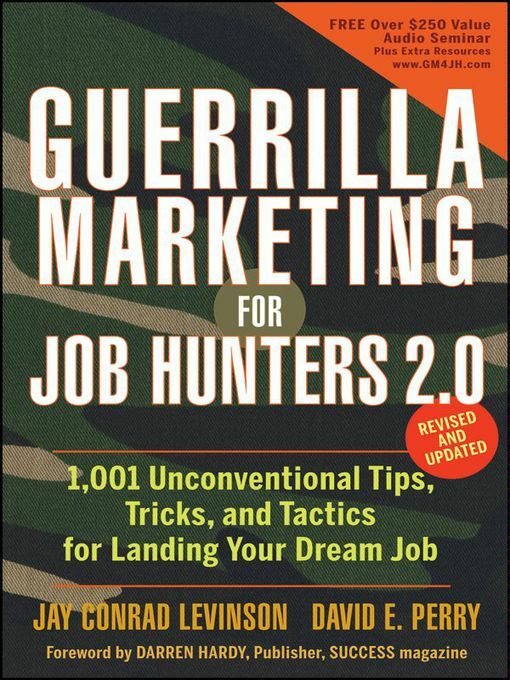 Here is your chance to learn Guerrilla Job techniques from Detroit’s own MSU grad Kevin Donlin and his partner David Perry. He will be hosting a seminar at the MSU management center in Troy and through this blog you can receive $10.00 of the cost of the seminar. Just by typing JFB. I have used some of the techniques successfully. I have used them for acquiring my internships with FWIX and The Leukemia & Lymphoma Society. Here is a presentation I used when I gave a speech to 150 people at St Anastasia in Troy, MI. I am a huge supporter and I think it is really worth the time to go and be a part of this seminar. I am using directed networking as I would call it. Kevin comes up with a lot of great ideas. Well worth the time and money. If this isn’t enough… October has a cool event as well. Brand Camp 09 will be on October 10 from 8 a.m. to 5 p.m. at Lawrence Technological University in Southfield, MI. Brand Camp University’s goal as an interactive conference that brings together the best and brightest minds in communications, marketing, brand development and business management to explore how social media has revolutionized the way individuals and companies position themselves personally and professionally. So do you want to do something which puts Detroit back on the map? You can learn about the future of Detroit with Charles Pugh, get back to work with Kevin Donlin and David Perry, or get your brand on track by attending Brand Camp. Can you help one person stay in Detroit? I am a young professional… Well young into my career anyway, I took the LONG road through my college career and currently I am working 2 jobs trying to find my ENTRY LEVEL position in either Public Relations for a Tech related company or Interactive/Marketing Coordinator. There was a time in my life not so long ago, when I would have LOVED to have moved out of the D. I am a born and bread Detroiter! I will LEAVE if the opportunity arises and I am networking IN and OUT of the state. I have been networking a lot on Facebook, Twitter, and Linked In. I have made connections through #BlogChat which might help me if I do get a chance to demonstrate my abilities to the Red Cross in Washington, DC. But why would anyone want to stay in MI? Why wouldn’t you want to leave? As one of my friends stated, if I was going to make my break away it would have to be RIGHT now. I would never make it, moving away from my Red Wings at the start of the preseason. To most people preseason, does not matter but to me… Well I have a hockey problem. I have started networking… I do it every week. #tweetea has been a staple and something I plan on. I was invited to a Menu Tasting at Olga’s Kitchen today by another group of people, who started Eat Ups. Which I was totally impressed with. Everyone should eat food with Joe Foodie! He knows his stuff! I have never been to Olga’s and it is a MI staple which has been around as long as I have been alive. I met one of the people, who were in charge of the event, he is a coach for Team in Training which helps benefit The Leukemia & Lymphoma Society. Through Twitter I made the connection during my early days of campaigning for LLS. Small World. The food was fantastic. The service was great and we were treated like Rock Stars! I would definitely go back! My family is small. I am an ONLY child, my Dad, Godmother, and aunt are here. I would like to be closer to my cousins and hopefully the social networks will allow this to happen. I have rediscovered some old friendships, made new ones, and well I am not sure if I can handle moving. I am fine with doing things on my own but moving cross country or elsewhere. I don’t know. I don’t want to be part of the brain drain. I would feel guilty with all the relationships I have worked hard to create, build and maintain. I am not sure if they feel the same way. But I like this networking thing! I have broken out of my shell and actually am organizing something which I never thought I could do. I am planning a #journchat LIVE meeting, Aug 17 from 7:30-10 p.m. Plus, I am writing membership profiles for PRSA Technology section. I am doing things I never thought I would have the leadership for. In the past, I would just let things go and never contribute. Now I am working on leadership skills. I don’t want to leave the D. Can you help me stay here? I do not want to be part of the brain drain. The mission of #journchat has always been to improve the relationships between public relations professionals, journalists and bloggers. Together we’ve created a safe environment to explore each industry and ultimately how social media is influencing all of us. The goal of #journchat LIVE is to have simultaneous live events occurring at the same time around the United States (and elsewhere if time zones permit). We’ve spent more than seven months sharing our thoughts and opinions online. While this format may not change, it was suggested that we incorporate a face-to-face event. @prsarahevans created this weekly chat and this is from her email to me. I was urged to take control and be the #journchat Champion for Detroit. So far I have emailed and through some of my connections received positive feedback on the situation and a warning. I am new to Public Relations field but I do believe in collaborative learning and I have found my way around the digital landscape and am very active in the community. I am active in PRSA Technology but still need to get into the game and call people to interview them. I have never been a leader. Normally, I would rather sit behind the sidelines and then add to the conversation. I am conquering my fear of leading, doing something positive for Detroit, and am going to try and do it maybe with out a laptop. Which is going to be hard because a Tweetchat screen would be great on a screen so people can see the syndication. As I have said before this is going to be a challenge. I haven’t worked in the industry really long and I am trying to bring everyone together . I have included radio as well. I believe they are in this with us and maybe if they are on Twitter they can chime in too. They are losing jobs at a frequency close to that of the newspapers and DJs are being replaced by voice tracks and MP3 files. People are turning to their Ipods instead of the radio. This should be an interesting thing if everyone shows up and is involved in the conversation. Can you give me suggestions on how to make this a great event? What do you suggest for a first time event planner? HELP! !